To much fanfare, Apple today announced a flurry of new products, including its new Apple Watch and overhauled iPhone 6. Broadcasting out of the Flint Center in California, where Steve Jobs first introduced Macintosh in 1984, the company gave a clear sign of its new, bolder product direction. Apple also ventured into digital payments with Apple Pay and further integration between its products. Today’s Apple smartwatch announcement signals the company’s first product line launch since the iPad in 2010. 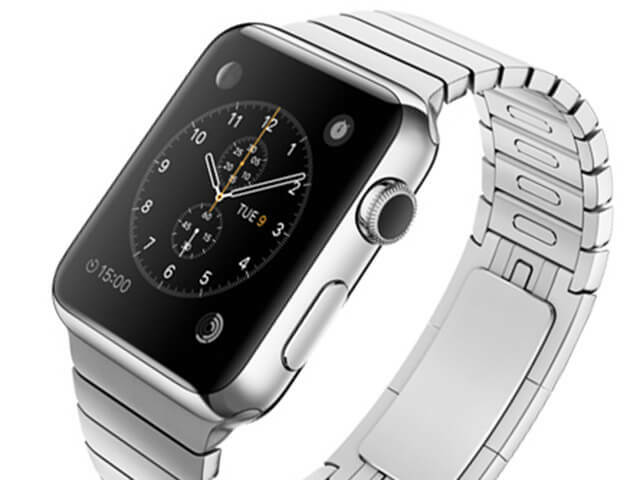 Apple Watch: One of the most anticipated announcements of the day was the company’s entry into the wearables market. 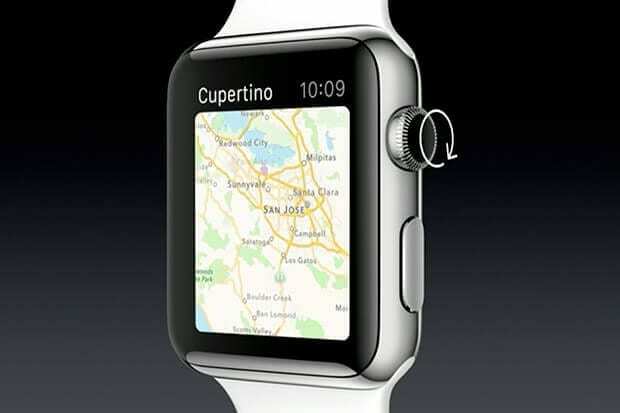 Apple showcased its new “Apple Watch” smartwatch to the crowd. With a curved, rectangular scroll-through screen, wearers use a “digital crown” on the side of the device to navigate the interface. This is one of the more important announcements for the wearables market, and will likely make smartwatches more accessible to everyday consumers. “We believe this product will redefine what people expect from its category,” said Tim Cook, CEO of Apple. The watch strap is customizable (including stainless steel, leather and elastic styles) and made with fashion in mind, a trend that is growing among fashion-tech collaborations. Six different straps will be available, with a quick-remove clasp that attaches to the watch. “The watch is as much about personal technology as it is about style and taste. We thought not only of the function but the way it looked,” said Cook. Apple Watch requires the iPhone to work. It will start at US$349. iPhone 6: The new iPhone 6 and iPhone 6 Plus are going head-to-head with Android models with larger screens, rounded edges and a thinner frame. 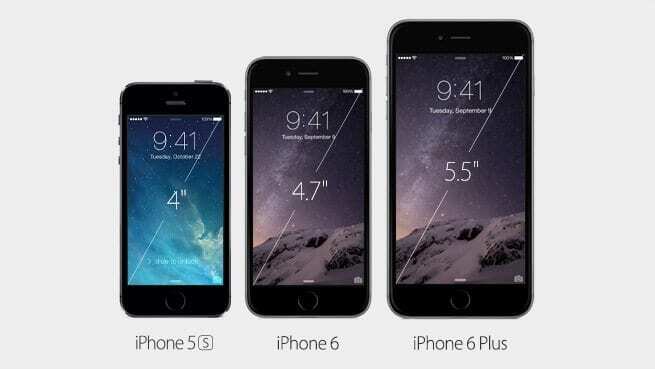 The iPhone 6 has a 4.7-inch screen, and the iPhone 6 Plus has a 5.5-inch screen. For comparison, the iPhone 5s had a 4.0-inch screen. Along with several new features including a better camera and landscape view, Apple is also promising a much longer battery life, up to 80 hours for audio on the iPhone 6 Plus. A 16GB iPhone 6 with a two-year contract starts at US$199. Apple Pay: The company is also targeting the digital payments market with “Apple Pay,” which allows users to hold their phone to a credit card sensor and pay in just one step. Apple Pay is built into the new iPhone 6 and Apple Watch. Apple also addressed privacy and security concerns, mentioning that a near-field communication (NFC) antenna, Apple’s Touch ID fingerprint authentication sensor and an internal “secure element” chip help protect the consumer’s information. (Security is likely top of mind in the wake of recent press surrounding the iCloud hacking scandal.) The new payment process is launching in the United States next month with American Express, MasterCard and Visa cards, and with merchants such as McDonald’s, Whole Foods and Groupon. Apple Health: Apple Watch can also track health and fitness information that is fed into the Apple Health app. Fitness and workout apps allow users to monitor their activity and movement, and set specific goals for workouts, acting like a personal trainer on your wrist. Cook emphasized Apple Watch as a “comprehensive health and fitness” watch.